Get out of your boring dinner routine and cook up some pasta! 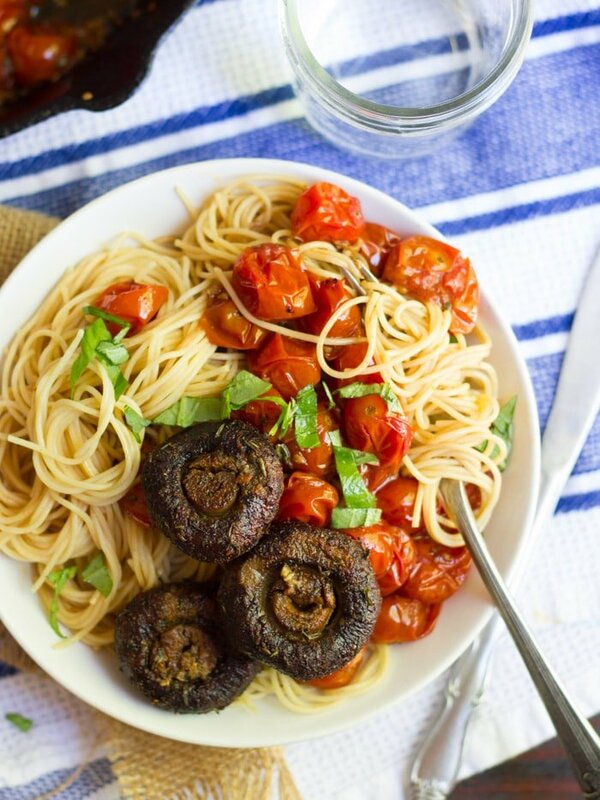 Pasta is naturally vegan, super delicious, and way versatile. 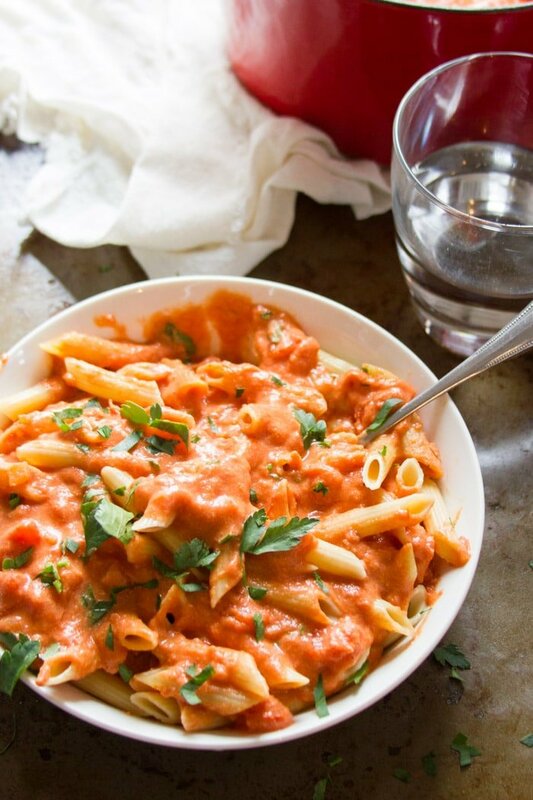 Proof: these 20 delicious vegan pasta recipes. Try one tonight! Pasta makes appearances at my dinner table at least a couple of times a week. 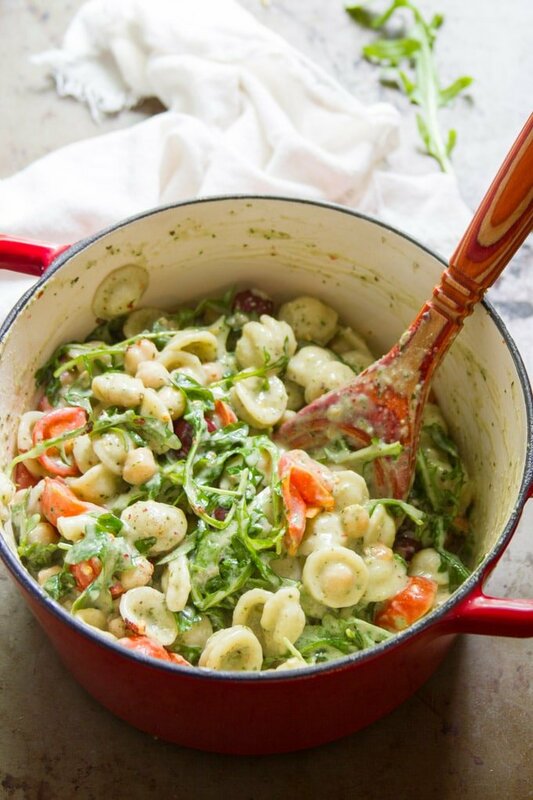 There’s so much to love about pasta! It cooks in minutes, can be dressed up in so many ways, and it’s naturally vegan. 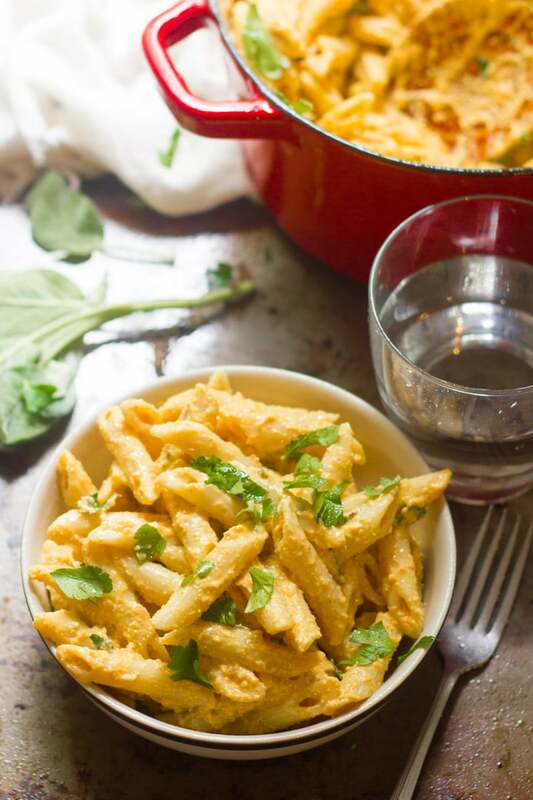 I have to clarify that last point because almost every time I post a pasta recipe I get questions from some confused readers who are under the impression that pasta is made with egg. Fresh pasta might be. But dried pasta is generally vegan. I say generally because are a few exceptions, including egg noodles and protein added pasta, which is made with whey. 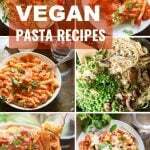 I’m sure there are other dried non-vegan pastas out there, so always check your ingredients, but for the most part, go with dried and you should be good! Salt your water! Click here to learn how. Your pasta will have better texture and flavor. Some people like leftover pasta that’s been sitting in the sauce for day or more. I do not. If you’re with me on this, store your leftover sauce and pasta separately. Plain pasta is best reheated by placing it in boiling water for 30 seconds or so and draining it. Fun fact: this is actually how lots of restaurants heat up pasta! 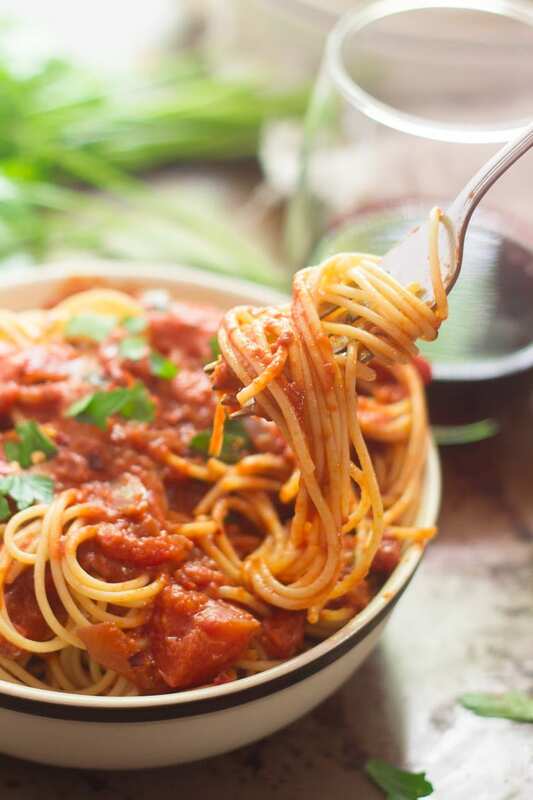 Is there really a difference between cheap and expensive pasta? I recently learned that in fact, there is! It’s all about the texture: the cheap stuff has a smoother surface that doesn’t mingle with the sauce as nicely. More details on all that here. 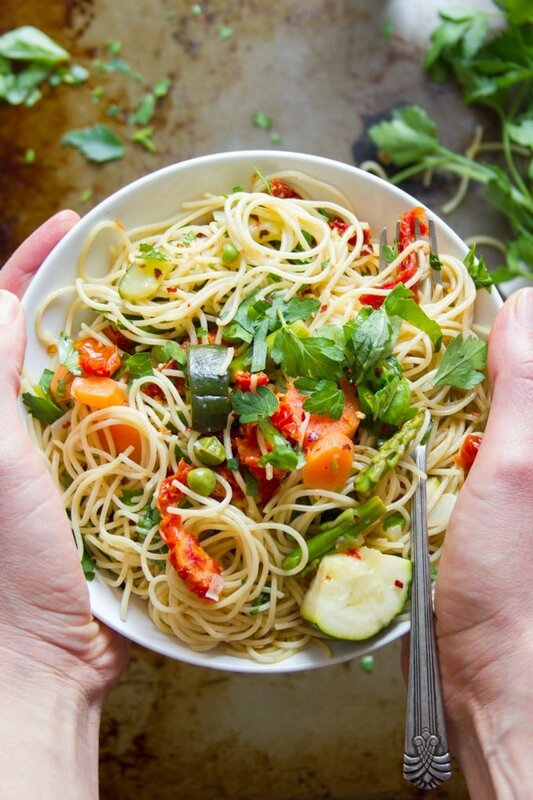 Looking for ways to healthy-up your pasta? Try whole wheat or bean pasta. Lately I’m a big fan of Trader Joe’s red lentil pasta. It’s a bit firmer than regular pasta and it does taste a bit like lentils, but I actually kind of really dig that. 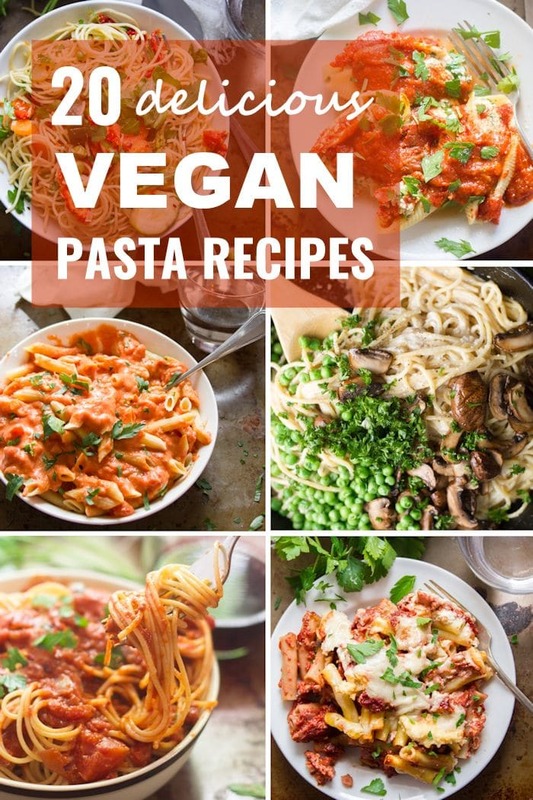 Now that we’ve cleared all that up, here are some delicious vegan pasta recipes to try out. Oh, and be sure to head down to the bottom of the page, where I’ve included a video demonstrating five of my favorites! Lots of red pepper flakes (or fresh peppers! 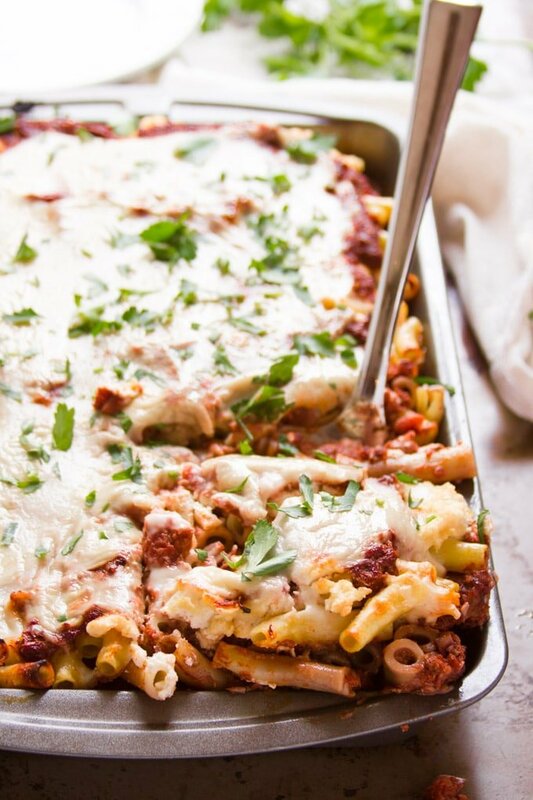 If that’s how you roll) give this easy pasta quite a kick! 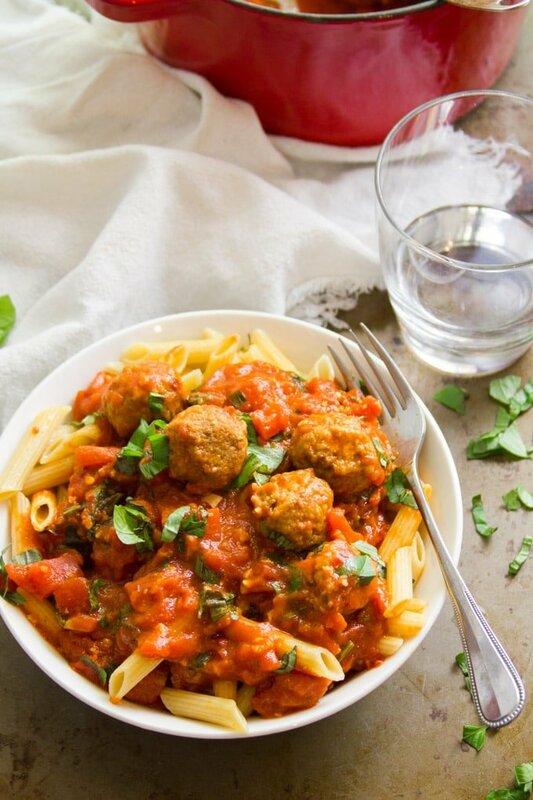 I love this one with my lentil meatballs. Recipe here. The hearty cauliflower walnut crumbles make this one a reader favorite. Recipe here. Another spicy one, but this one gets a dose of richness from coconut milk. Recipe here. A mix of raw cashews and canned pumpkin puree blend up smooth and creamy to make the sauce for this fall favorite! Recipe here. Spoiler alert: the sauce has tofu in it. It works though…trust me! Recipe here. 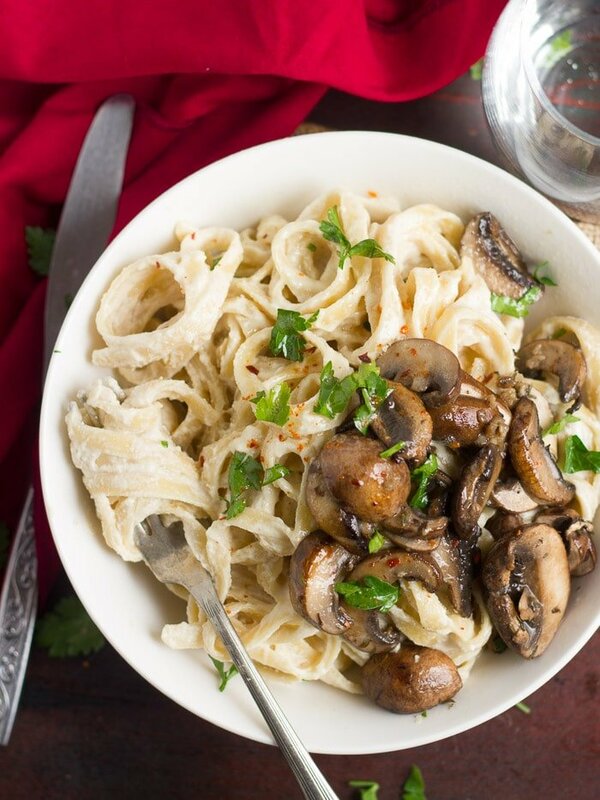 The roasted garlic adds so much delicious flavor and amazing texture to the vegan Alfredo sauce in this one. Recipe here. This one is perfect for anyone who can’t have cashew-based sauces. It uses coconut milk instead! Recipe here. People always ask me what the point is of vodka in this one, since it’s nothing but alcohol and water. Here it is: when the vodka cooks off it actually changes the sauce chemically (somehow or another. I’m not a chemist! ), and alters the flavor! Give it a try and see if you can taste it yourself. Recipe here. 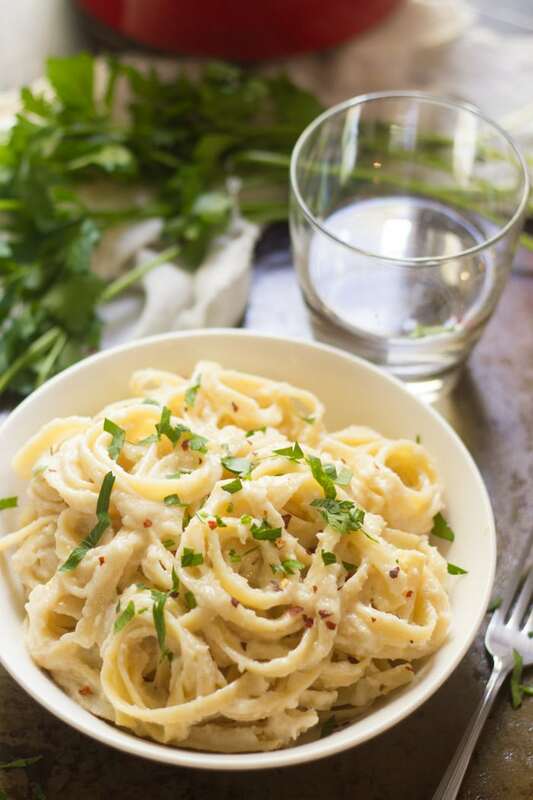 This lighter vegan Alfredo sauce is made with sneaky veggies! Sounds weird, but it’s incredibly tasty! Recipe here. Fresh dill and scallions give this dish a flavor reminiscent of spanakopita. Recipe here. 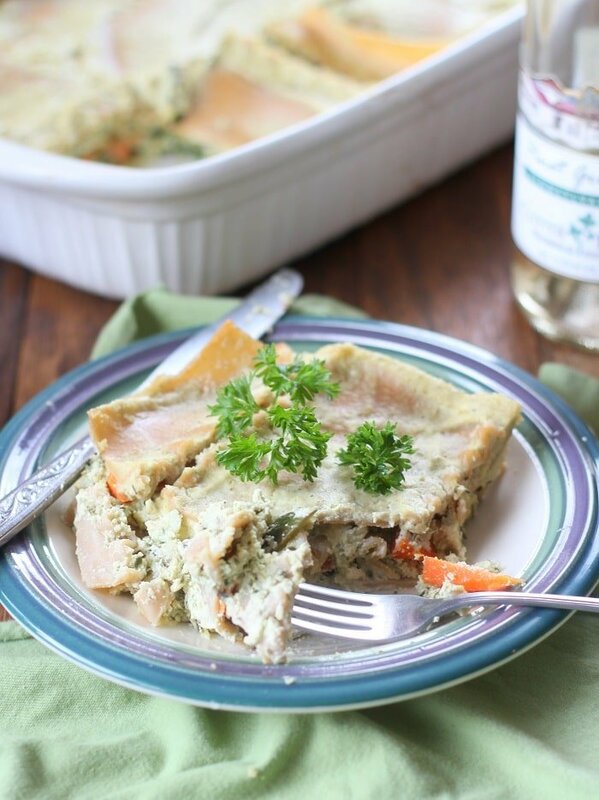 This one is perfect when you’ve got a fridge full of veggies to use up! Recipe here. 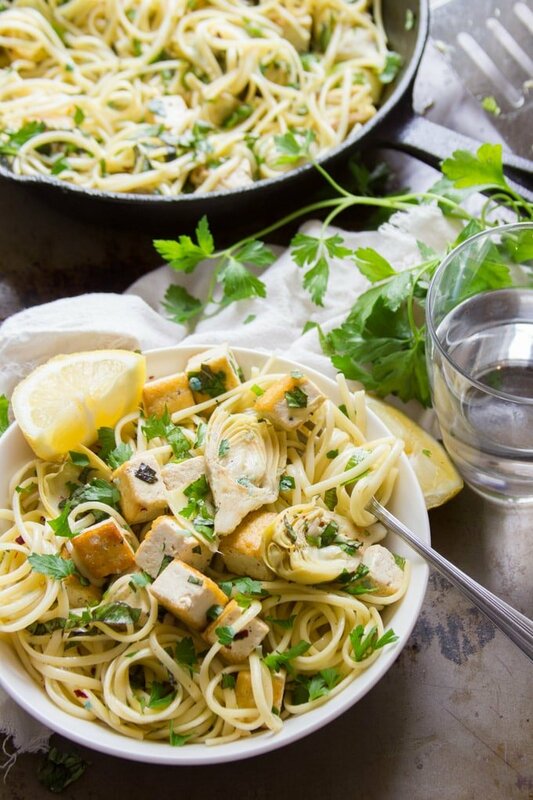 Tofu & artichoke hearts stand in for the shrimp in this veganized version of a classic. Recipe here. Roasting cherry tomatoes brings out their sweetness and makes them perfect for topping some pasta in this summery favorite. Recipe here. 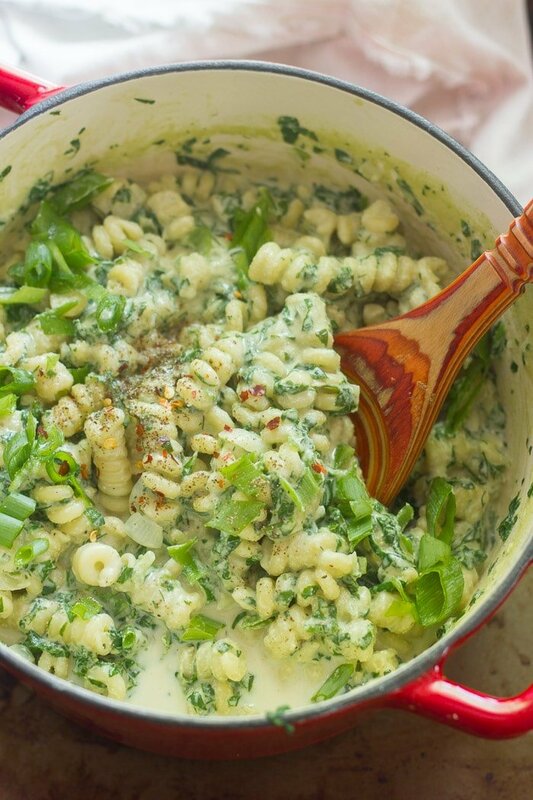 These taste just like the cheesy stuffed shells I grew up eating, but with the addition of spinach! Recipe here. 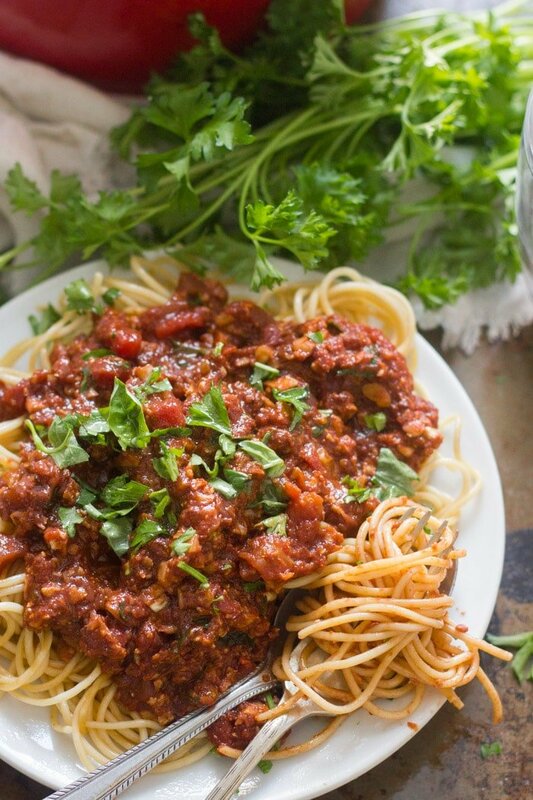 This one uses the cauliflower walnut meat sauce that I linked to above, for a super hearty dish that would please vegans, vegetarians and omnivores alike! Recipe here. 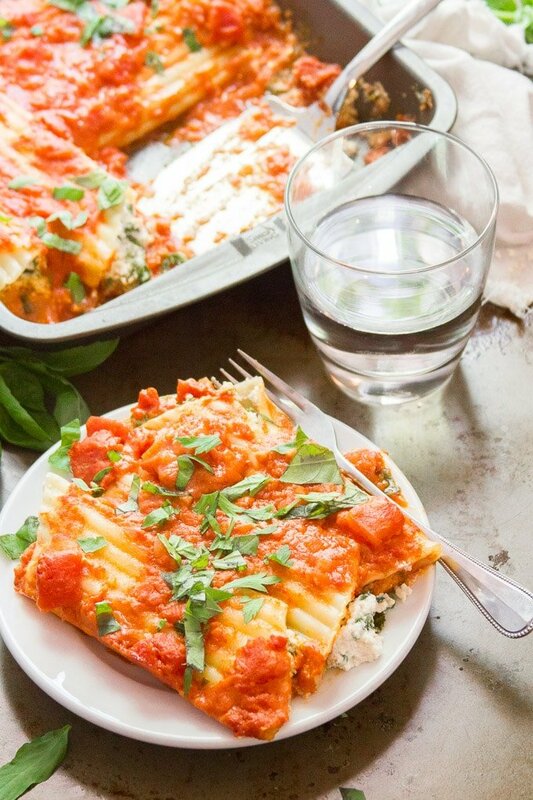 This rich vegan lasagna is packed with veggies and uses a luscious cashew cream sauce instead of the traditional red sauce you typically find in lasagna. Recipe here. 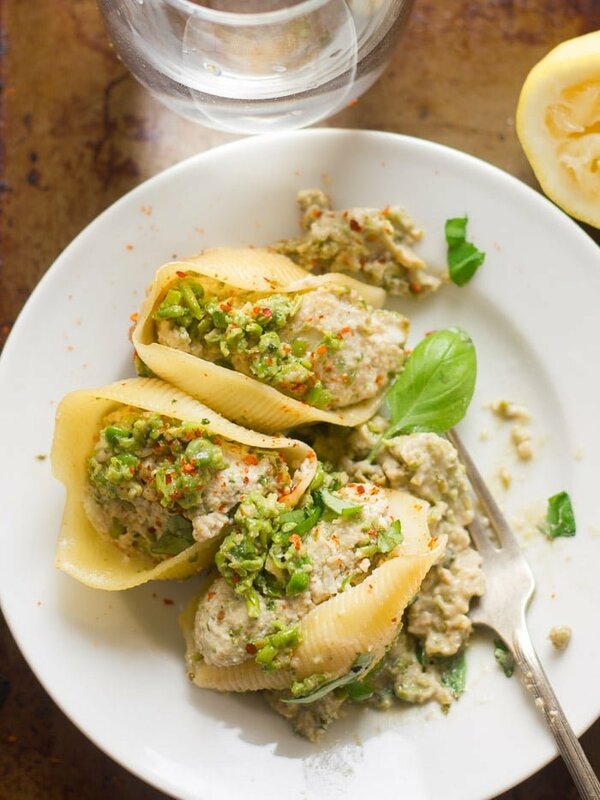 Anyone who loves pesto needs to try these shells! Recipe here. 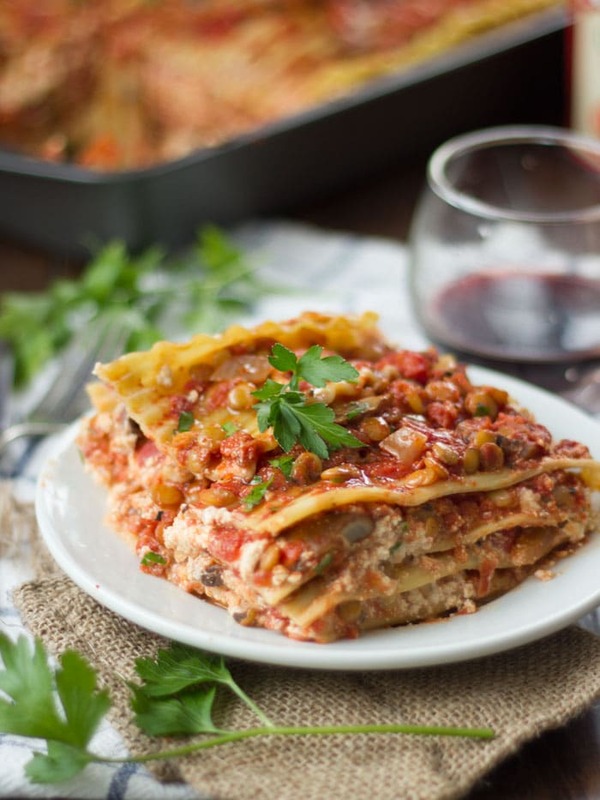 This hearty lasagna is super savory and perfect comfort food during the winter months. Recipe here. Kale goes deliciously with the creamy cashew-tofu ricotta that’s used to stuff these pasta tubes. Recipe here. 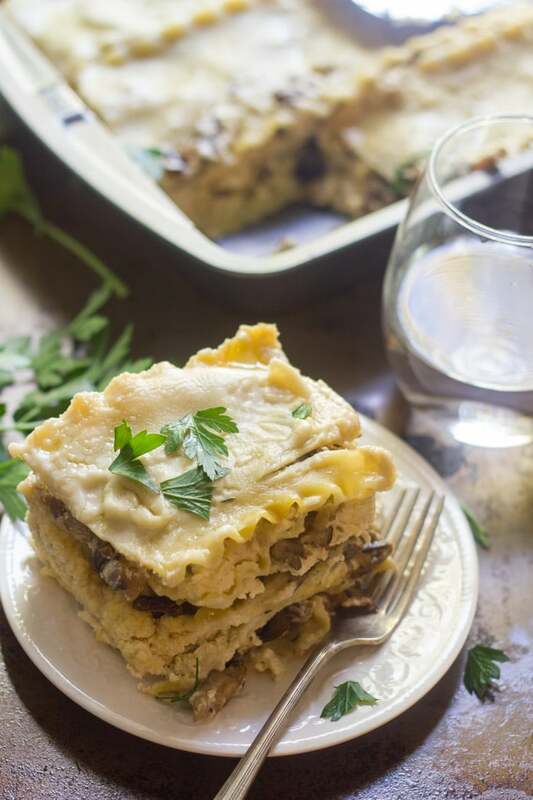 A mix of mushrooms and lentils makes the perfect replacement for meat in this scrumptious vegan lasagna. Recipe here. 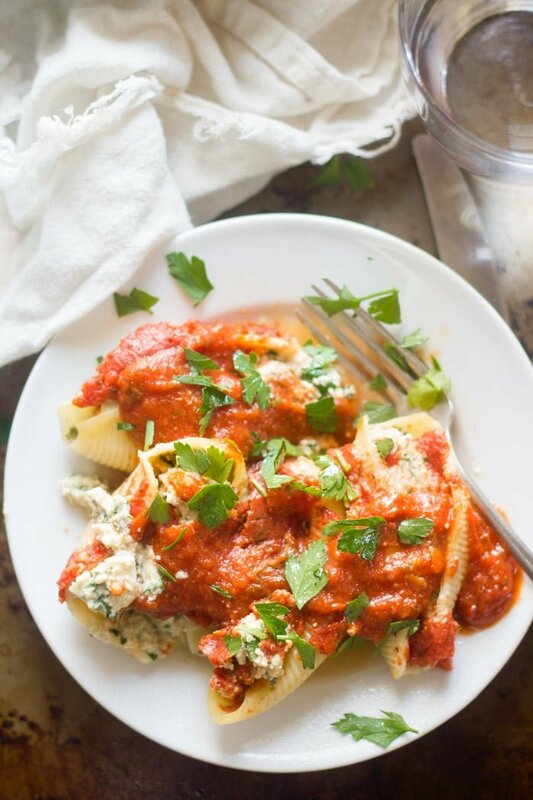 Check out my video showing how to prepare vegan pasta alla vodka, stuffed shells Florentine, spaghetti with cauliflower walnut “meat” sauce, tofu & artichoke heart scampi, and penne arrabbiata! Like this recipe? If so, be sure to follow me on Facebook, Pinterest or Instagram, or subscribe to my newsletter. And please stop back and leave me a review and rating below if you make any of these recipes! ALISSA, YOU ARE AMAZING!! 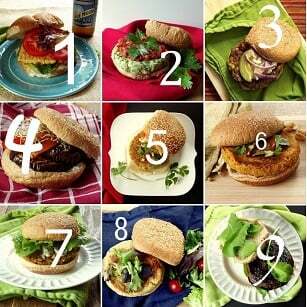 THANKS FOR SO MANY DELICIOUS, HEALTHFUL AND CRUELTY FREE RECIPES. Thank you so much Rick!! I’m so glad you like them! Hello, is there a way to not use cashews due to allergies and still keep the taste of the dish? Thanks! 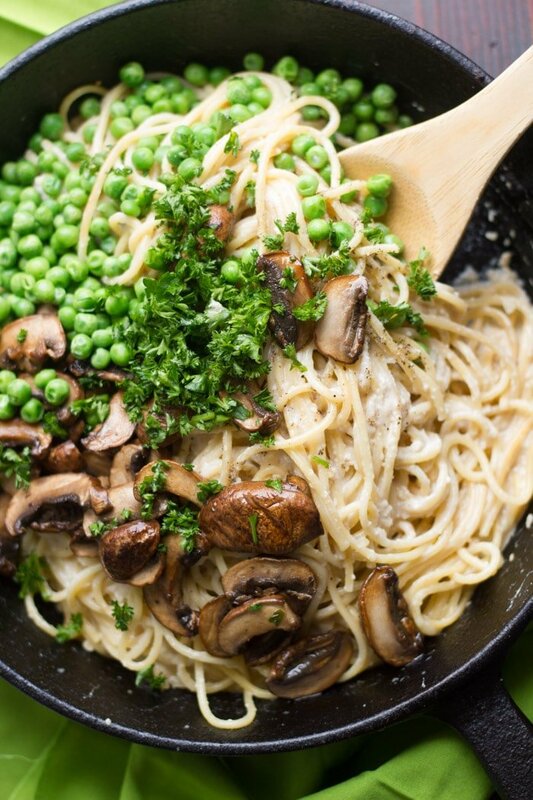 The link to “LOADED CREAMY VEGAN PESTO PASTA” takes you to recipe for “VEGAN SPAGHETTI CARBONARA”.